Early this year, Le Labo launched Limette 37, one of its city-exclusive fragrances; this time, the city that inspired the perfume, and the only place you can buy it, is San Francisco.1 I live close enough to San Francisco (in “air miles/minutes”) that I don’t need much of an excuse to fly down, even for a day. Mostly, I travel to San Francisco for art; soon I’ll be visiting to see two exhibits: David Hockney: A Bigger Exhibition at the de Young and (also at the de Young) Modern Nature: Georgia O’Keeffe and Lake George. As luck (the dates of these exhibits) would have it, that means I’ll have to go to San Francisco TWICE before spring! Woo-Hoo! If Le Labo Limette 37 is really good, I can always grab a bottle at the Le Labo boutique on Fillmore Street. 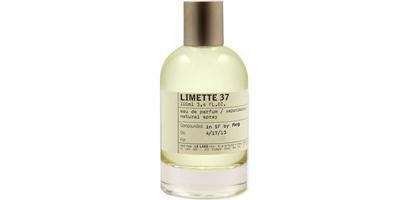 Limette 37 opens with vibrant and delicious-smelling citrus notes (mostly bergamot at first…on the “warm” side); there are also glints of green leaf and crisp jasmine (not exactly clean jasmine, but certainly not indolic jasmine, either). Limette 37’s first impression makes me think — SUMMER. After Limette 37’s opening, a pithy and dry lime note emerges; smelling it is like sniffing the inside of a lime peel — you can still smell the green-skin oils and some residual juice. Perhaps my favorite phase of Limette 37 is a lime-jasmine accord that ushers in the heart of the perfume, producing a “happy” sensation for me. Other perky (and interesting) aspects of Limette 37: its lemon-lime sparkling-soda phase, with a hint of sweetness mixing with acidic citrus juice; the citrus-y vetiver in the base; and a petit grain “moment” that reminds me of the aromas of vintage Eaux de Cologne soaps from Spain. Limette 37’s musk, clove and tonka beans do not intrude on the citrus-and-flowers effervescence…those richer notes are almost put on “mute.” I have not even one complaint about Limette 37; though it does not remind me of San Francisco; it smells more like La Jolla or Malibu or Ojai. My lack of complaint did not last long — I found out the price of Limette 37: $440 for 100 ml Eau de Parfum/$290 for 50 ml; SF tech gazillionaires: enjoy! At those outrageous prices I want more than Limette 37 provides. Limette 37 reminds of a few other citrus perfumes that don't justify their price (though I like them just fine): Tom Ford Private Blend Azure Lime and Neroli Portofino come to mind. Like those, Limette 37 stays close to the body and has average lasting power. Le Labo Limette 37 is available at the San Francisco Barneys New York or Le Labo’s Fillmore Street boutique. 1. The notes include lime, bergamot, jasmine, petit grain, clove, vetiver, tonka bean, musk. Note that Le Labo also makes their city exclusives more widely available (at all of their counters and online retail stores) during one 6 week window every year. 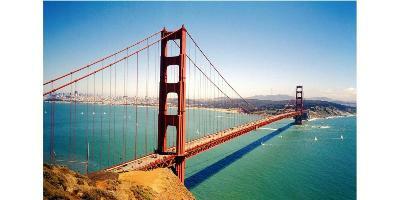 Note: top image of Golden Gate via Wikimedia Commons. Update: Le Labo Limette 37 was developed by perfumer Frank Voelkl. I haven’t tried this one, and have to admit that a citrus perfume at that price, no matter how good, isn’t really tempting me… but I wasn’t aware of the David Hockney exhibit and now I might just have to plan a trip to SF before it ends. So you have sold me on at least one thing with this review! Limette 37 was the first Le Labo City Exclusive that I tried. I got a sample thank to a generous friend who was visiting SF and took a risk of sending a sample over the ocean to Poland. I really enjoyed the perfume, on me it was bright and luminous, surprisingly warm citrus. It definitely piqued my interest to try other Exclusives (like Vanille and Benjoin) If only those bottles weren’t so expensive. Lucas…so far none of the crazy-priced in the line have tempted me…if I plan well, that $440 will get me to SF and back to Seattle…twice! MUCH more fun than Limette! You hit the nail on the head when you said it smelled like Malibu or Ojai. It is nice and lovely and bright but it is not San Francisco and for as much as it costs I would rather get several fragrances that are more evocative of the city than this one. Thora,,,true. Do you have a scent that reminds you of SF? I tried Limette 37 at Barneys in NYC when the City Exclusives were allowed to be out and about. I enjoyed it, but not as much as Vanille 44 and Cuir 28. Limette 37 and Gaiac 10 were closely tied for 3rd. I’m curious, if this were to be the price of a regular line Le Labo, would you buy it? H: I might…but the world is full of great citrus perfumes…. San Francisco fragrance? Top notes: bouquet of cut roses, Meyer lemon, and lavender; middle notes: leather, rosemary, cilantro, and amber resins: Bottom notes of eucalyptus, bay, sage, chamomile, and saffron. P.S. Available all over the world via the web, Bitcoin or the latest cryptocurrency for 100 ml. I don’t remember who here did the review on l’Artisan’s Ananas Fizz, but that could certainly be a good alternative. At 440 bucks in San Francisco with that Lemon-Lime soda accord, they’re probably going for those Code Monkeys addicted to Mountain Dew who made it big. S1306090: HA! But I’m not one to fall for “city exclusive” marketing either…I think at the price it’s safe to say SF won’t be overrun with people wearing this.